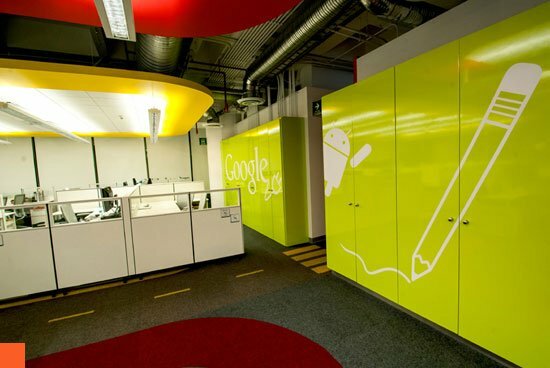 Innovative Google Office Interior Design. At Mexico City. Generally we think about interior designing, immediately we visualize different kind of furniture and its arrangements. Some time we show some variety of colors with different kind of shades. If you ask someone, what is office space?. How it’s interior planned?. Generally what we found is office is what it’s a workspace. With comfortable space and working desk and other necessary things. One nice conference of meeting space and with modern amenity. One pantry or kitchen area. And some small storage is ideal almost office interior required. 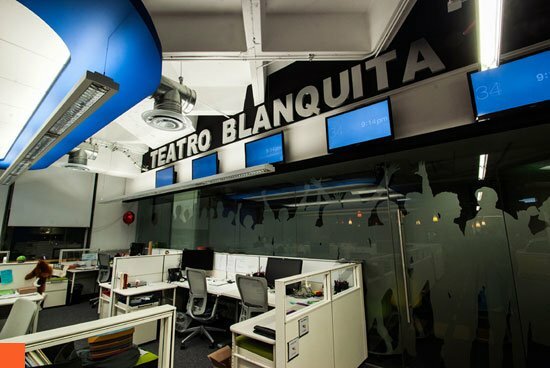 But here are latest contemporary ideas of office interior of Google’s Mexico City office space. 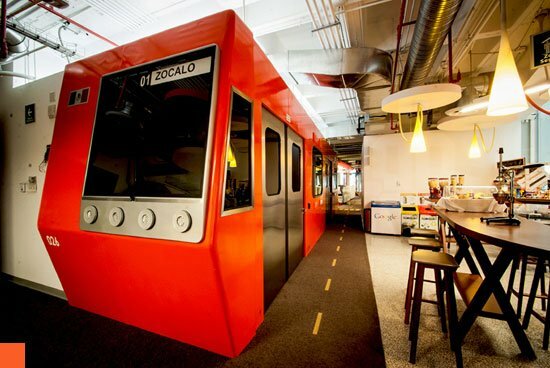 But this is a world giant Google’s working space. 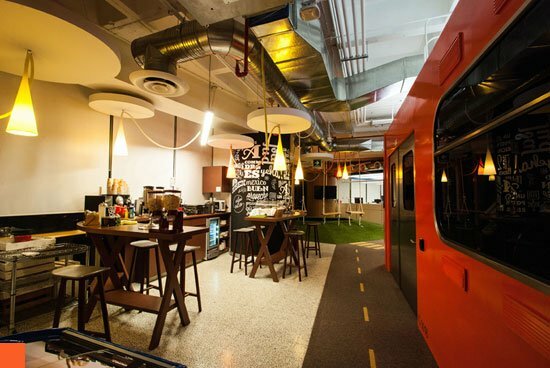 I appreciate the thought and vision behind these developments of working environments creation. Here the elements of design are use in creating environment. 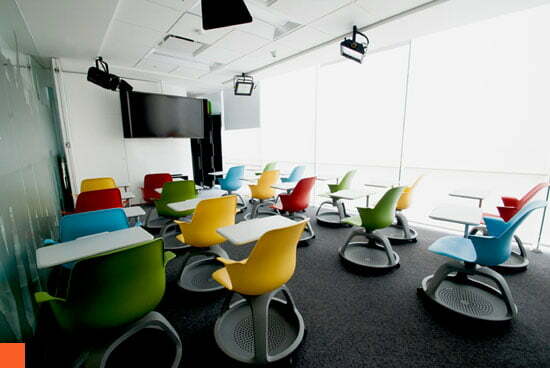 For working area is somehow symbolizing google’s company identity with usability. When we see the selection of colors you immediately find hey this is Google’s. But here those colors and its applications are smart way place. 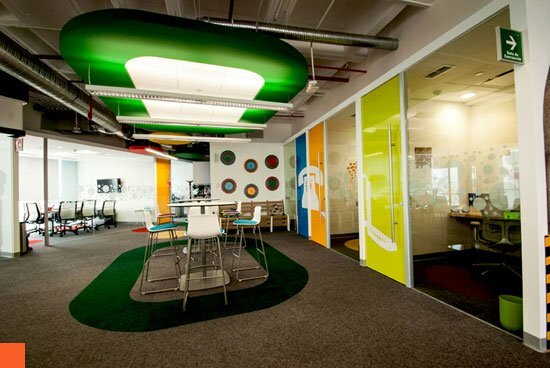 To create vibrant working environment. All colors are bright, joyful, clear, happy, and vibrant. 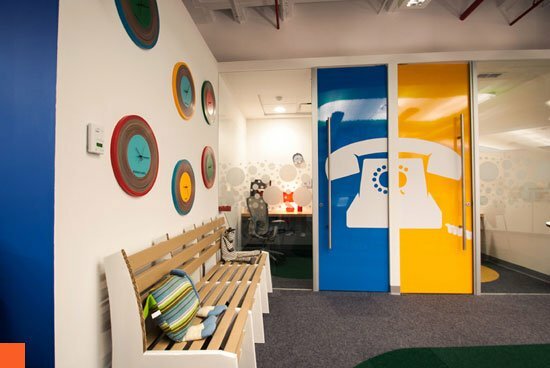 Renowned for creating playful working environments for its employees. 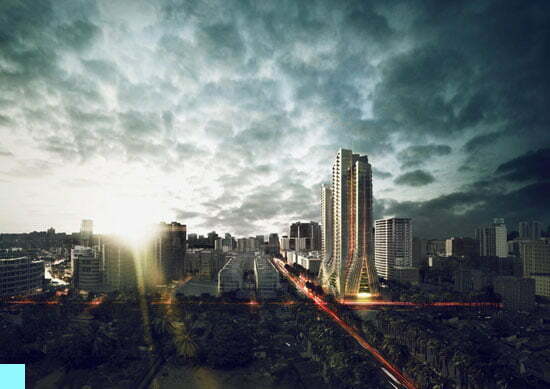 Google headquarters in Mexico city has been designed by Mexican studio. A space to look just like the city itself. Upon entering, a lobby area filled with white. makes the bright colored logo stand out. and from here there are two different routes one may take. Wandering into a large auditorium, the ‘tech talk’ space features a Google map of the city as a carpet. while the other pathway leads to rooms. That contain famous landmarks. The ‘Chapultepec’ park has been install as an informal meeting area with sings. a lake and a large tree at its center. Lining this is a road with a refurbished cab for private phone conversations. A red subway that has the server. Other icons that have been incorporat. Like a video conference ‘trajinera’. Which is a traditional Mexican boat, as well as a ‘teatro blanquita’. a large place for spontaneous social interactions. The food and catering zones were a major focus of the layout. As they are important part of the company’s work culture. and a deli is offer to employees in the middle of the office as a place to eat, and meet with colleagues. The playful atmosphere is also designed. To have as little impact on the environment as possible. the office follows strict green guidelines by incorporating sustainable principles. That meet an LEED gold certification. 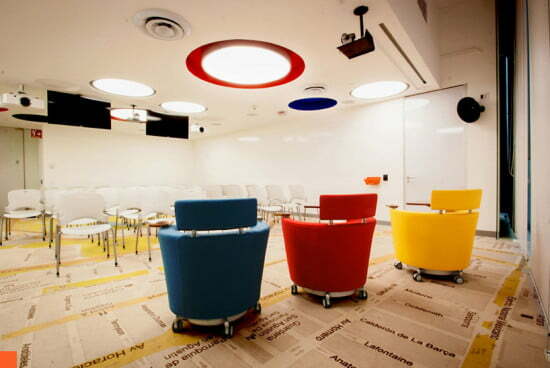 This is all about of Innovative Google Office Interior Design at Mexico City. Have a thoughts on it, share with us. 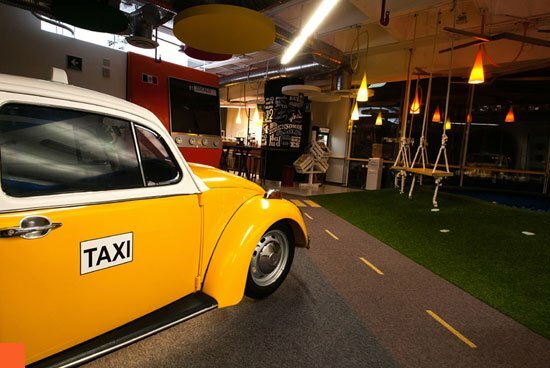 Thanks for the post n link…very nice thought out work environment with concept to appeal to career seekers…Reminds me when i was a GM for Discovery Zone. ..Color works since we all want to live in love,balance and in Color. .. 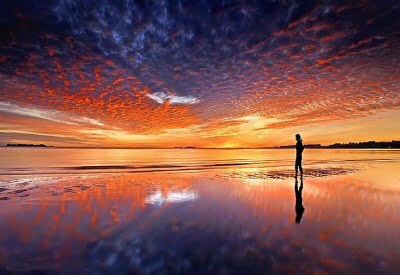 Thank you for posting very encouraging and appreciative comments here …. 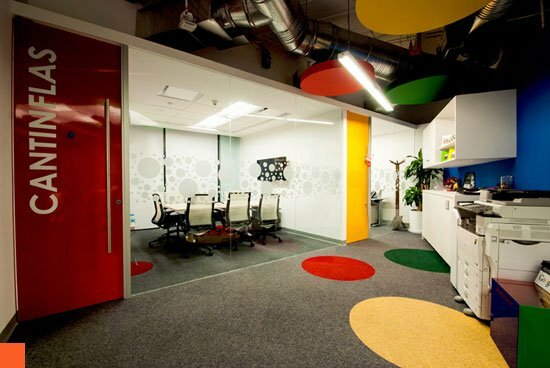 This is really nice google office design.